Mobile App development requires detailed planning and various processes to come together to build a harmonious whole. The process begins with an idea for the app, then continues to the planning stage, app design stage, app development stage, testing stage, and finally, the release of the app to the planned mobile device/s. However, there is something that you need to decide on even before going through the stages of app development mentioned above. You will have to determine the specific technique in which you would want to produce and deploy your app. In this article, we will give you two options that you can choose from: you can develop either a Web app or a native app. So what exactly are native and Web apps? How do they differ from each other? Which of them are more suitable for you? Native Apps are apps that are essentially developed for a particular mobile device. It is directly installed on the intended device. Native app users normally download the apps via the Google Play Store, the Apple Store, and other avenues. As an example, the Camera+ for iOS devices of Apple is considered as a native app. On the other hand, Web Apps are apps enabled by the Internet. They are accessible through the Web browser of the mobile device. They do not need to be downloaded onto a mobile device. The Safari browser is considered as a mobile Web app, for example. a. User Interface – From the point of the users of the mobile devices, various native and Web apps seem to look and work in the same way, with very small differences between them. The decision between the two kinds of apps has to be made only when you have to determine whether to produce an application-centric app or a user-centric app. Several companies develop both native and Web apps, so they can increase the reach of the apps that they develop while providing a satisfying overall experience for the user. b. App Development Process – The process of app development of these types of apps is what separates them from each other. Every mobile platform where the native app is developed for specifies its own individual development process. For Web apps running on a Web browser of a mobile device, the difficulty that emerges is that every type of mobile device have different features and also have unique problems. Every mobile platform allows the developer to have its own development tools, standardised SDK, and other elements for the user interface which they can utilise to develop their native app with relative comfort. For Web apps, that kind of standardisation is not present and the developer does not have access to tools or SDKs of any kind. Of course, several frameworks and tools are available for developers which they can use to deploy apps to various Web browsers and mobile platforms. c. Accessibility – native apps are fully compatible with the native features and the hardware of the device, including the camera, and the accelerometer. Web apps have access to only a limited amount of the native features of a device. Native apps work as a standalone entity. However, the problem is that the user has to continue downloading updates. On the other hand, a Web app updates itself even without the intervention of the user but must be accessed through a browser of the mobile device. d. Making Money on Apps – monetisation of Apps with the use of native apps can be challenging, since certain manufacturers of mobile devices may place some restrictions on integrating some services with some mobile ad networks and platforms. On the other hand, Web apps allow you to monetise apps through charging fees for membership, advertisements, and so on. However, while the app store handles your revenue and commissions for native apps, you must establish your own payment system for your Web app. e. Efficiency – Native apps are more costly to develop, but they are considered to be faster and more efficient since they work in tandem with the mobile device that they are developed for. They are also assured of quality, as its users can have access to them only through app stores online. On the other hand, Web apps may have higher costs of maintenance across various mobile platforms. There is also no specific regulatory authority that controls the quality standards of these apps. However, the App Store of Apple features a list of Web apps developed by them. Native apps and Web apps both have their own set of strengths and weaknesses. Listed below are some of the pros and cons that you can consider when deciding what type of app you will develop. a. Faster to open and can be accessed anytime as these can be used even when you are offline. The performance is faster in some cases since they locally store data and start synchronising with the server only after the user is finished using a particular app. b. They enable users to make use of hand gestures that are device-specific. iOS and Android are constantly developing various conventions for user interaction, and these kinds of apps respond the way that is expected by its users. 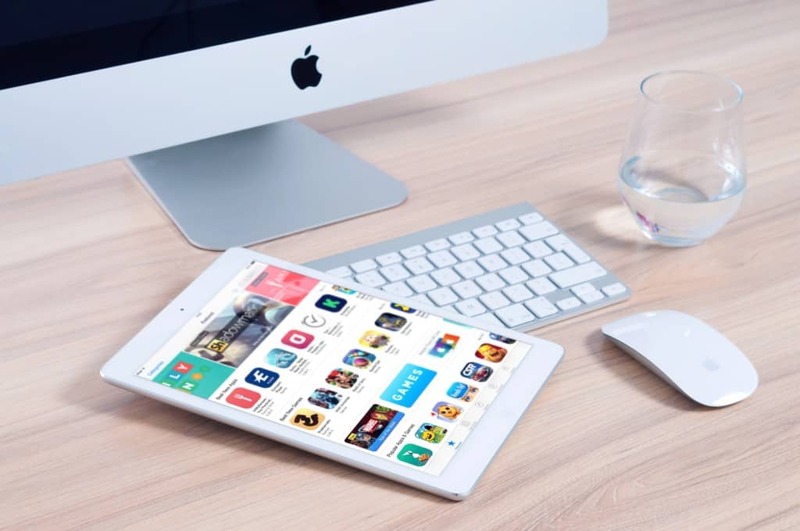 c. They have the approval of the app store that they are designed for, which indicates that the user can be guaranteed of the improved security and safety of the app (most of the time). Native apps receive full support from the intended marketplaces and app stores. Its users can effortlessly find and download the apps of their choice from these stores. e. They work out better for the developers who are provided with the SDK and all the other tools to develop the app with much more ease. a. They tend to be more expensive for the developer. This is especially the case for the developers who would like their apps to be compatible with various platforms and mobile devices. b. The costs of app updating and app maintenance are also more expensive as compared to Web apps, especially if the app supports various mobile platforms. c. The approval process of the app store can be very long and tedious for the developer. It does not result in success all the time. There is also no assurance that the app will become instantly popular with the users. d. The users of different mobile devices may be making use of different versions of the app, which makes it harder for the developer to provide and maintain support. b. Variations between web browsers and versions of browser and phones make it challenging to develop a stable web-app that can run on all the devices without any issues. c. They are not available in app stores. d. Users may not be guaranteed security and safety of the app. Deciding on which of the two kinds of apps is better all depends on the end goals of the developer. If you aim to establish a vast mobile presence, then you should opt for a mobile web app. But if your goal is to develop an application that acts more like a computer program instead of a website, then a native mobile app would be the best choice for you. You must consider the above-mentioned aspects and then make an informed decision on the method that you would want to adopt in developing your app.